If you're bored of Brazilian government propaganda videos, Fifa lies and Nike adverts but you want to know a bit more about the upcoming World Cup hosts check out Batalha do Passinho screening in London on the 27th and 28th of May. 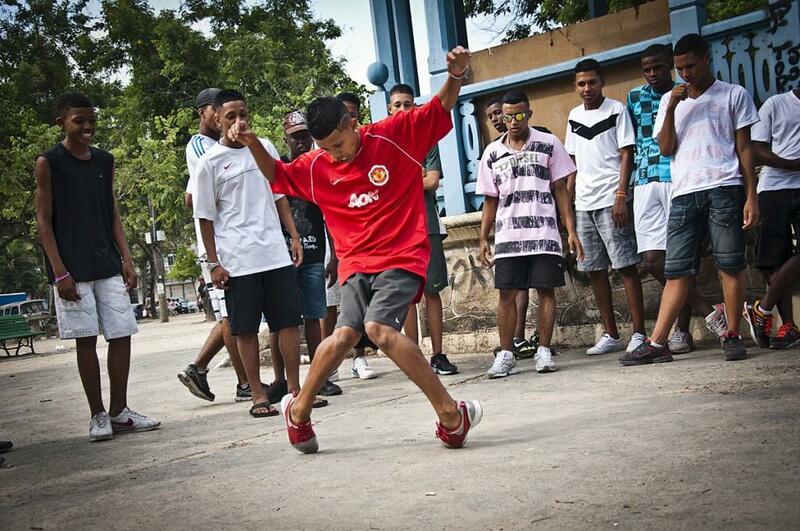 Born in the favelas of Rio de Janeiro, the Passinho went viral in 2008 and since then has been changing the face of the Rio de Janeiro suburbs and slums. A new way of dancing funk, the Passinho is one of the most important cultural manifestation of the last 10 years in Rio. 'Passinho Dance Off', directed by Emílio Domingos, documents the phenomenon and shows the evolution of this culture from inside the movement. The director Emílio Domingos will be in London on the 27th and 28th of May in two screenings and Q&A sessions.